After the bankruptcy of the German company Grundig AG, the Turkish concern Beko bought out the company and the Grundig TVs are now produced by the Beko concern. Since the Grundig TVs were known in Europe, the production of TVs under the Grundig brand was retained. 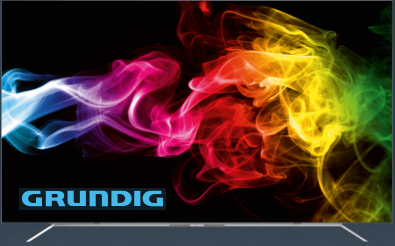 Grundig TVs are sold in Europe. But since Beko produces not only TVs under the Grundig brand but also under other brands, the TV models are very different. The sale of TVs with labeling as an example of 43GUW8860 is sold in Germany, these TVs are screen, processor and manufacturing quality at the level of leading manufacturers. Since the Grundig brand is very well known in Germany, sales of TVs are quite large. In other countries, Grundig TVs are less known, in order to conquer the market, it is necessary to reduce the cost of goods, so TVs with the marking 55VLX9772 are produced. On TVs with this marking, cheaper matrices and processors are installed. The cost of the TV is reduced and it can already compete in the market with other brands producing cheap TVs. The model range of TVs is presented in the table, in which it is possible to sort TVs by basic parameters and compare different models of TV sets.